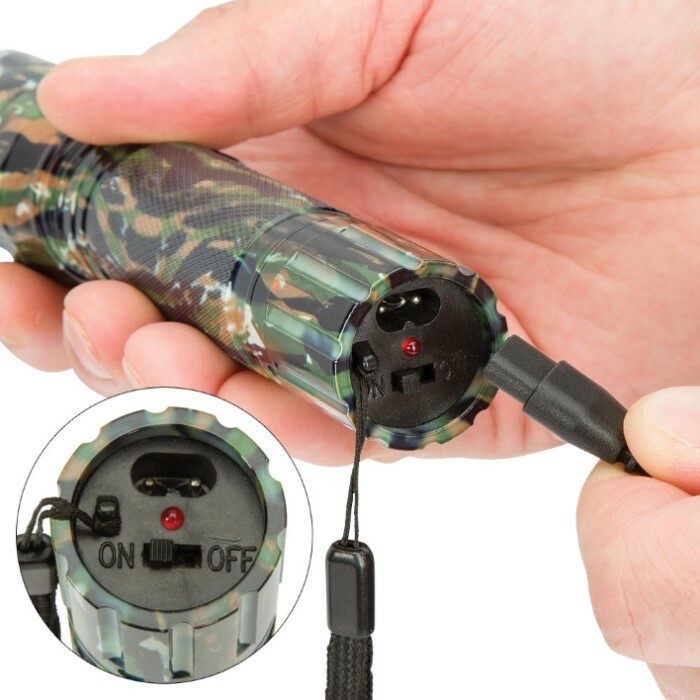 This versatile stun gun/flashlight combination defense tool from Night Watchman is one of the most powerful stun guns available on the civilian market today! It boasts 2 million volts of intense shock power - more than enough to incapacitate any would-be assailant. 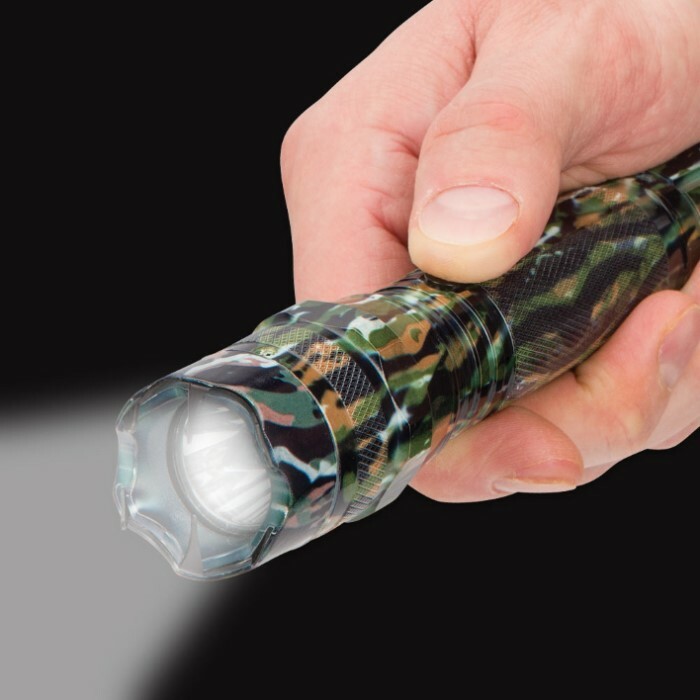 The extraordinarily bright 380-lumen LED flashlight is perfect for illuminating your way through dark parking lots or alleys, and it even offers a second defense option in its foe-disorienting strobe mode. The rapid pulses of intense light blind and confuse would-be attackers, allowing you to slip away unharmed. A handy wrist lanyard allows for convenient transport while walking or jogging, and the jungle camo color scheme is both stylish and discreet, especially in wooded areas. The product works as described, the flash light is bright and the stun gun works well. It came with a charging and lanyard kit, which came in handy.